NEW  How To Make Sushi  SUSHI'S SECRETS  NEW PRICE $19.99! This DVD is better than most sushi books! A unique experience! The SUSHI'S SECRETS DVD is a fun, easy and entertaining way for you to learn how to make delicious sushi at home. Never before has an authentic Japanese Sushi chef and instructor revealed his 20 years of know-how like this. Following the step-by-step instructions you will be amazed by your own results. You'll enjoy rolling your own sushi and you'll also be able to delight your family and friends. 65 minutes of video! PLUS A FREE NUTRITION CHART! 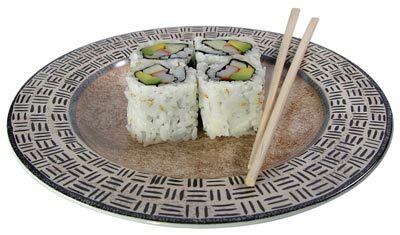 Mame Nori is the perfect solution for sushi lovers who may be allergic or have a distaste for regular seaweed nori. 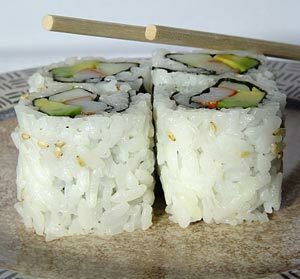 Mame Nori is a high-quality sushi wrapper that is made from 100% soy beans. Mame Nori also comes in 6 beautiful colors, so that you can add an artistic touch to your sushi rolls. Soy protein is of the highest quality, but without the cholesterol and saturated fat. It can be the sole source of protein, without causing any nutritional imbalance. Sushi Magic is the world's best home sushi maker! Acclaimed by home users and chefs alike, Sushi Magic is a complete sushi making system that really works. Each kit includes two sushi makers in one attractive gift box, free sushi lessons with techniques and secrets for making great sushi, and where to find and how to prepare sushi grade fish, seafood, and ingredients. This beautiful Sushi Poster makes a wonderful gift! Wall-sized, it is also available in a special laminated version. 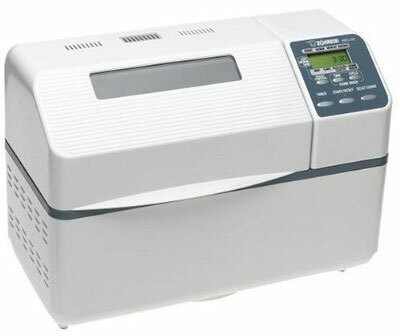 You can buy the Zojirushi Home Bakery Supreme Bread Machine at Amazon.com for only $189.04 and this item ships for FREE with Super Saver Shipping. You will save $75.96 (29%).